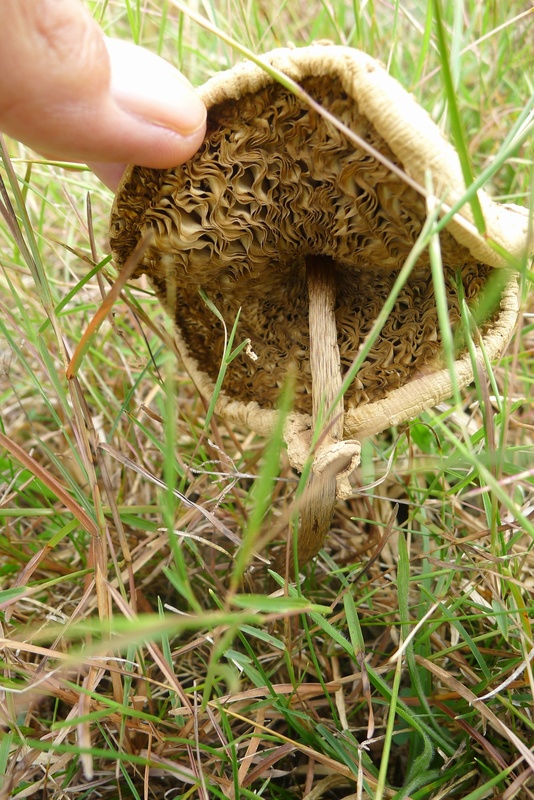 Is this is a Parasol mushroom? 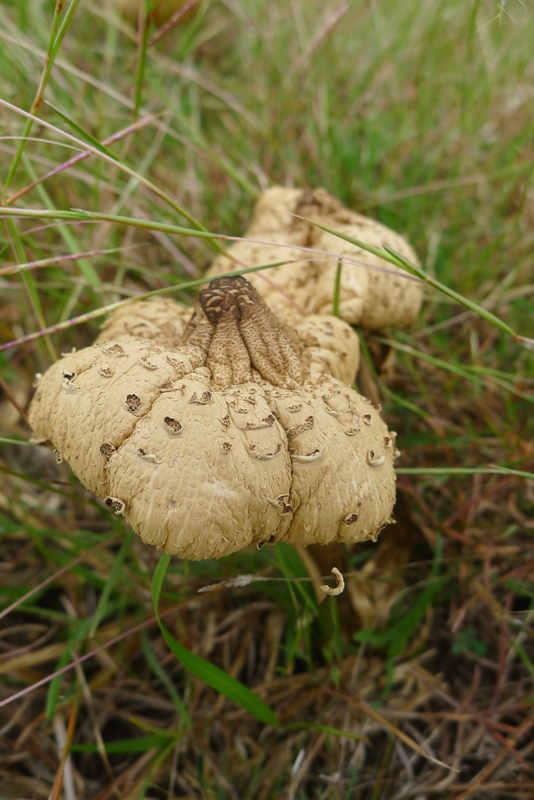 It is somewhat parasol shaped, has dark brown scales and a brown umbo or bump on the center. It’s not quite round though. Hi Sylvia. It certainly looks like one, although it is a very old example. It has long since dropped it’s spores and is now withering away. They tend to have that dehydrated look with wavy and withered gills and the cap (fully round/circular at maturity) crinkles and contracts too. Shame you missed it in it’s prime. Next Next post: Ready, Set, Sprout!